CHIRAN, Kagoshima Pref. 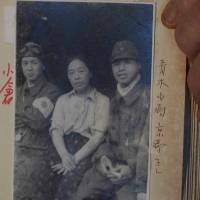 - As young army pilots took off on suicide missions in the closing days of World War II, the schoolgirls in this Kyushu town waved handkerchiefs and branches of pink blossoms. She and the other girls were called Nadeshiko, after the fragile pink flowers seen as a symbol of femininity in Japan. They were ordered to take care of the pilots at the army base in Chiran. Their jobs included cleaning, doing the laundry, sewing on buttons and saying goodbye. Chiran served as the takeoff spot for 439 pilots on suicide missions, many of them teenagers. Japan surrendered four months later. 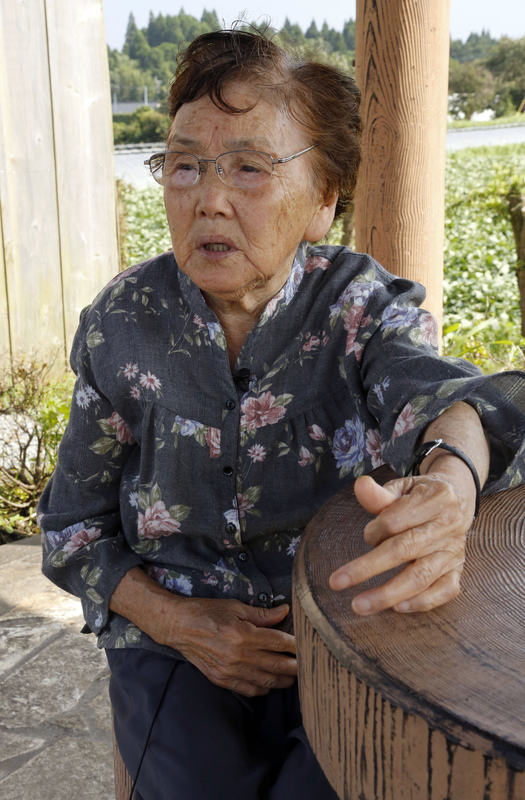 Kuwashiro broke into tears as she pointed to the tea groves and pumpkin patch where the runway once stood. The planes tipped their wings three times in a farewell salute — a bomb hung from one wing, a fuel tank from the other. Japanese here say Chiran today highlights the horrors and extremes of war, and want their town of 10,000 to be designated a UNESCO World Heritage site. 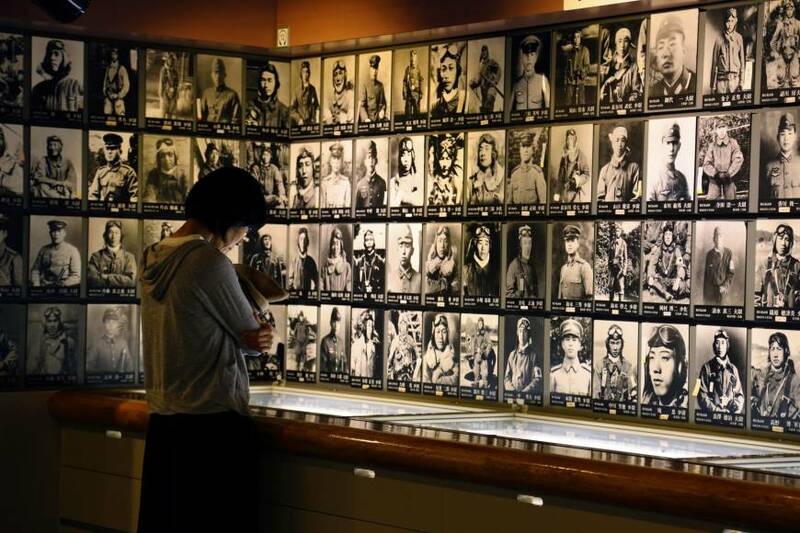 They have yet to gain even the approval needed from the central government, but an exhibit thousands of miles away suggests there are powerful lessons in the lives lost here 70 years ago. Photos, letters and poems from the pilots of Chiran are now on exhibit, for the first time outside Japan, on the battleship USS Missouri, berthed at Pearl Harbor, Hawaii. 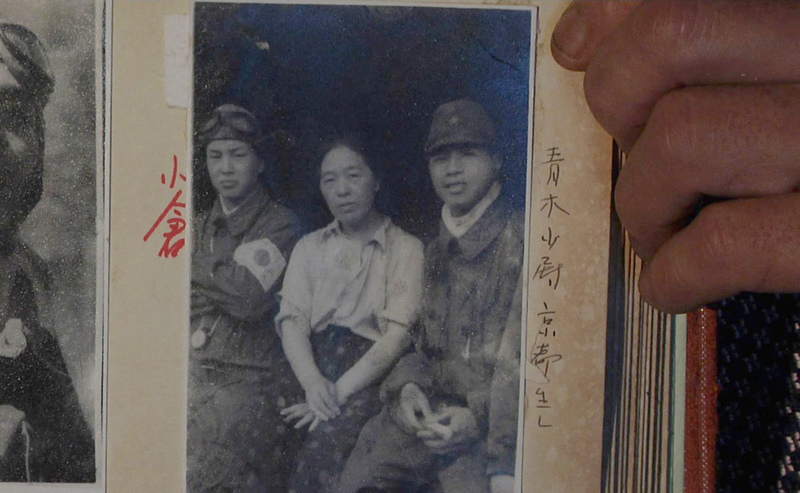 The items are from the Chiran Peace Museum, which is devoted to the army suicide pilots. Though such Japanese pilots in World War II are generally known as kamikaze, that name applied specifically to navy pilots. Their army counterparts, like those in Chiran, were called tokko. Those who refused to fly to their deaths were imprisoned. “I have a big smile, Mother, as I am about to carry out my last, and first, act of filial love. Don’t cry. 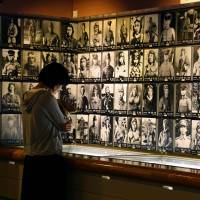 Please think I did good,” wrote Fujio Wakamatsu, 19, in one of the letters on display. Michael Carr, the president and chief executive of the Battleship Missouri Memorial, said that instead of recoiling at the stories, visitors are moved by the Chiran exhibit, which runs through Nov. 11. A corner of the Chiran museum is devoted to the Nadeshiko, and includes a video with interviews made in the late 1980s. 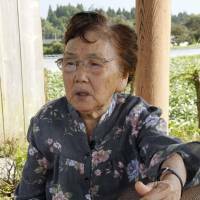 Reiko Akabane, a Nadeshiko who died in 2006, said in the video that she went up to one of the pilots before his departure to return change from the money he had given her to mail a letter to his parents. Instead of taking the coins, Shinji Sakaguchi took out his wallet and handed it to her as a keepsake. Another pilot who was standing by, Nobuo Taniguchi, regretted that he had nothing to give her. He stooped down and picked up two small smooth rocks. “These are the last stones that were under my feet,” Akabane recalled him as saying. The wallet and rocks are on display at a small cottage-like building called Firefly Hall in Chiran. It’s a replica of a restaurant run by Tome Torihama, a woman many pilots came to see as their mother figure, and it was built by Torihama’s grandson in 2000. The source of the building’s name is a 19-year-old pilot named Saburo Miyagawa. He had promised Torihama he would come back as a firefly, and right about the time his plane sank into the ocean, a particularly big glowing bug flew into the garden of Torihama’s restaurant. The firefly is an image often used in Japan to symbolize the kamikaze and death because of its association with love, poetry — and a very short life. The pilots confided their deepest fears to Torihama and some Nadeshiko. Torihama died in 1992, at 89. According to the museum, when the girls went to pick up the pilots’ pillow cases to wash, they found they were drenched in tears. But when they took off, to their certain death, they put on brave fronts. Kuwashiro thought they resembled living angels.